The Amazon microwave will cost $60 and take commands via Amazon’s Alexa. Just tell your microwave what you’re cooking, how you’d like it cooked, and for how long.it’s “ a demo for [Alexa] Connect Kit,” which is the cheap Bluetooth and wifi module that Amazon will try to get other companies to affix to their normal, non-smart appliances, allowing Alexa to talk to them (through) Wi-Fi Simple Setup, which is a system that shares your wifi credentials with all the compatible smart devices in your house. At a surprise press event in Seattle, Amazon announced its first-ever kitchen appliance. The Amazon microwave will cost $60, ship starting November 14, and take commands via Amazon’s voice assistant Alexa. Just tell your microwave what you’re cooking, how you’d like it cooked, and for how long — oh, and by the way, you can hit an Amazon Dash button that auto-reorders microwave popcorn from Amazon. If it doesn’t sound very exciting, that’s because it isn’t. The microwave is being sold as part of AmazonBasics, which is also the section of the site where you can buy generic lightning cables, clothes hangers, batteries, and yoga mats. That’s the point. This microwave is just a microwave, with a couple of smart-home party tricks. It’s not more expensive than a normal microwave; it reheats food like a normal microwave — which is boring and yet something everyone does. But as The Verge points out, it’s “effectively a demo for [Alexa] Connect Kit,” which is the cheap Bluetooth and wifi module that Amazon will be trying to get other companies to affix to their normal, non-smart appliances, allowing Alexa to talk to them. 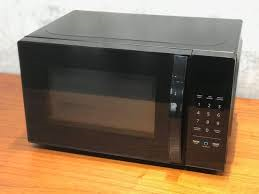 The microwave has the simple module built in, demonstrating its capabilities to a whole new range of gadget-makers and to a demographic of consumers who might have previously heard of the Alexa Connect Kit and had absolutely no idea what it might be or what they might personally use it for. It’s a Trojan horse: an inexpensive entry point, an easy graduation gift, a staple that sometimes needs replacing, and a not-so-intrusive and not-so-useful but also not un-useful household item that can get Alexa into the homes of people who have so far not seen any good reason to invite Alexa to live with them. Of course, the microwave isn’t the only thing Amazon announced at the event, which was actually a litany of new products and Alexa features, just in time for the holiday shopping season. In just over an hour, Amazon announced, by its own count, “70 new devices, customer features, and developer tools.” This includes but is (obviously!) not limited to: half a dozen new Alexa-enabled Echo speakers, including one that goes in your car, a $25 smart plug that lets you connect Alexa to any appliance, a $35 device that can turn any speaker into an Alexa-controlled speaker, an analog wall clock that talks to Alexa (why? ), a security system that talks to Alexa, and a DVR that talks to an updated Echo Show, which, of course, talks to Alexa. And, tucked into the end of the announcement, Amazon announced Wi-Fi Simple Setup, which is a system that shares your wifi credentials with all the compatible smart devices in your house. This was not expressly mentioned at the event, but Amazon also controls the internet. The pace also meant it took a while for anyone to point out that privacy and data protection weren’t mentioned at all. We’re kind of used to this from Amazon by now — its ability to jump and spread and evolve faster than even the most ridiculous science fiction virus — but that doesn’t make it any less bizarre to witness on a random Thursday afternoon. The holiday season is huge for Amazon in general, as many of us have accepted that the ritual of mall shopping just does not justify the stress. This year (in addition to Christmas trees), Amazon will be hawking today’s whole new line of gift-price-range Alexa-connected devices and smart home accessories. Gifting is one of the biggest — if not the biggest — ways these products end up in homes: Amazon doesn’t release precise product sales figures, but we know that Google sold nearly 7 million smart speakers last holiday shopping season. In January, reports showed that 39 million Americans (16 percent of the adult population) owned a device with a voice assistant, up 128 percent from the year before, and Amazon claims it sold “tens of millions” of Alexa-enabled devices globally (mostly the Echo Dot speaker) in the last quarter of 2017. That’s pretty vague, and we will have no way of comparing it to this year’s number, but the company will obviously be looking to outdo itself in what remains of 2018. Lucky for Amazon, about 13 million microwaves are purchased each year! Come the New Year, Alexa will be everywhere.